Some of the most stunning homes are made from barn conversions but it’s essential to get each individual element right to avoid a design disaster. The staircase is one of the central elements to any home, commanding attention in the room as well as being the functional means of accessing other areas. There are lots of aspects to consider when fitting a staircase, particularly when the design is more complex such as a spiral. 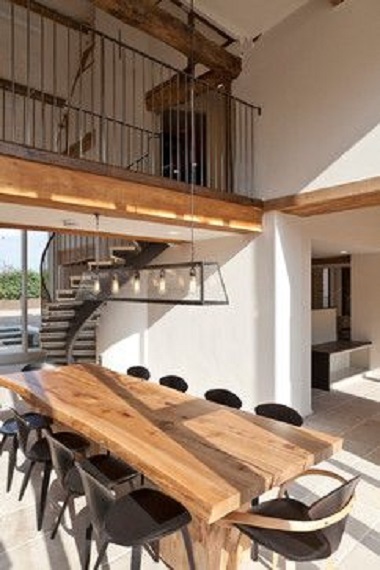 However, a spiral staircase can provide a touch of sophistication as well as being an extremely practical solution for barn conversions. Here’s a look at fitting a spiral staircase in barn conversions. Spiral staircases are surprisingly economical; despite their complex appearance they can cost very little to fit and install. Cast iron or steel are the perfect choice for spiral staircases, and this can fit in wonderfully with the ambience of a barn conversion. A nod towards the agricultural past, metal staircases can be either traditional or contemporary, giving you lots of choice about the final appearance. 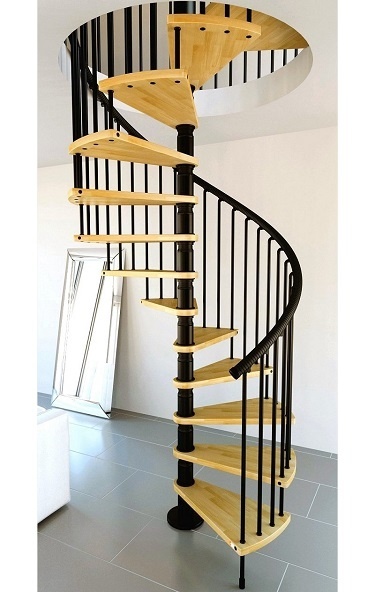 The other benefit of steel and cast iron is that it’s a very economical material too, so you won’t have to break the bank creating a memorable spiral staircase centerpiece in your barn conversion. Freeing up space can be helpful in any home, and a large and cumbersome staircase can limit the design options that you have. Spiral staircases take up less room than standard designs, creating a much smaller footprint, and leaving more space on the floor below. As well as the obvious advantage to being space-efficient, the smaller size of a spiral staircase means that you’ll have much greater choice about where to install it. If you want the staircase tucked away in a corner, the more compact size means that you’ll find it far easier to accommodate it within your design. Spiral staircases come in a wide range of designs so you can choose the style that matches your barn conversion. As well as cast iron, timber staircases come in spiral designs with both the treads and the handrail available in woods such as beech and walnut. You will also have the option to select the size of the staircase you need, extending smaller staircases to fit a larger or higher space, or adding a balustrade to some models. Spiral staircases will be a real feature in your barn conversion, providing an attractive means of access to the higher floors without sacrificing stylish good looks. Checkout our range online today and give us a call if you’d like to discuss your options.